I am incredibly over-excited to finally, officially, properly announce that the one and only Samantha Shannon will be joining us, live, on TUESDAY 25th for Book Club!! As usual, our 'virtual' book club takes place in a password protected chat room. Instructions and further details on how to take part are at the bottom of this post. ANYONE is welcome to join us so please do spread the word. 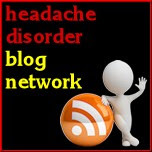 Next week I'll be posting an interview with the lovely Samantha talking about her migraines and how they effect her writing. Plus, a review of her epic debut novel, The Bone Season, will be posted a few days before the book club meeting. 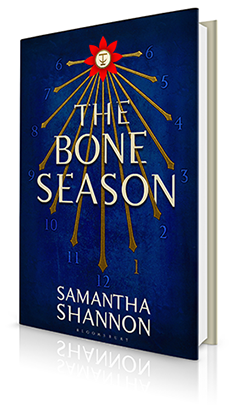 So, you still have plenty of time to read (or listen) to The Bone Season and think about what questions you'd like to ask Samantha. 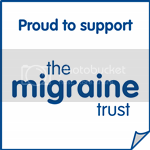 It is very rare that someone in the spot light is so willing to openly talk about migraine so don't miss out on this opportunity! It's also rare that migraine, in various ways, seeps into a piece of fiction in such a subtle and profound way. 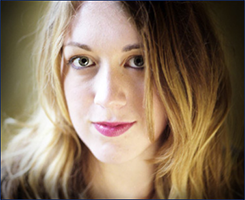 You can learn more about Samantha and her writing process via her brilliant blog. You can learn more about The Bone Season via its website.